Jewish groups criticize Hungarian Prime Minister Viktor Orban’s praise for wartime Nazi ally Miklos Horthy. 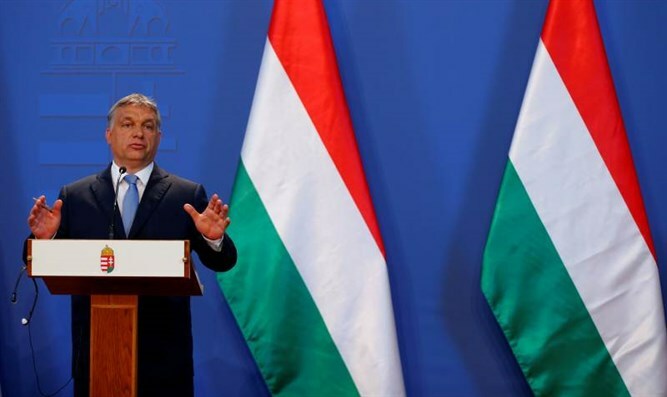 The World Jewish Congress (WJC) and the leading Jewish group in Hungary on Friday criticized Hungarian Prime Minister Viktor Orban’s praise for Miklos Horthy, the World War II-era leader who allied Hungary with Nazi Germany. In a speech on Wednesday, just hours before he hosted Lauder in Parliament, Orban called Horthy and other Hungarian leaders “exceptional statesmen” for leading the country after the traumatic disintegration of the Austro-Hungarian Empire after World War I.
WJC President Ronald Lauder said his organization would always condemn “deplorable actions” like Horthy’s and rejected any attempts to excuse or justify them, reported The Associated Press. That year, the mayor of Budapest ordered a review of a city hall decision to name a street after an anti-Semitic author who was favored by both Horthy and Hitler.